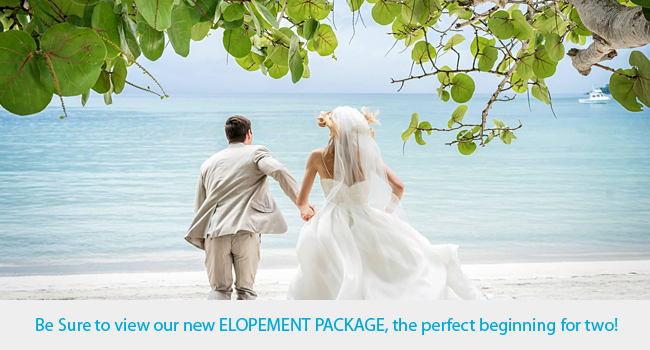 At Couples Resorts, you will begin your life together in one of the most idyllic settings in the world. And on that special day, we promise to make sure everything is absolutely perfect. From vibrant bridal bouquets to gourmet menus to thrilling live entertainment - our staff pays meticulous attention to every detail to create an unforgettable occasion. Your dedicated wedding planner will make all the arrangements according to your specific instructions - leaving you free to enjoy the moment with your loved ones. Be sure to register for your complimentary customized honeymoon registry and begin planning your romantic getaway. Catering to a range of styles and budgets, our exceptional wedding packages offer fabulous choices. Whether exchanging vows on the white sand beach or in a beautiful garden setting, hosting intimate outdoor dinners or memorable receptions with sumptuous buffets, you will find everything you ever dreamed of at Couples Resorts.